Queso is the Spanish word for cheese. In the United States, the word is commonly used as a name for a type of Mexican cheese dip, as well as for numerous varieties of Mexican cheese. Queso Anejo is a firm, aged Mexican cheese that was traditionally made from skimmed goat's milk. Today, it is most often made from skimmed cow's milk. After the cheese is made, it is rolled in paprika, which adds additional flavor to its salty, sharp taste. The flavor of the cheese is somewhat similar to Parmesan or Romano, but it is not as strongly flavored as Cotija cheese. As a fresh cheese, Queso Anejo is crumbly and breaks into small pieces very easily. When dried, it acquires a firm texture allowing it to be easily shredded or grated. Queso Anejo is a good baking and grilling cheese. The cheese is often used as a topping or stuffing for enchiladas, burritos, and tacos. Parmesan, Cotija, or Feta cheese can be substituted when Queso Anejo is not available. Queso Anejo may also be referred to as Anejo Enchilado or simply, Anejo (meaning "aged"). Queso Asadero is a white or pale yellow Mexican cheese. It has a somewhat elastic texture and has a flavor that can range from sweet and somewhat buttery to fairly strong and tangy, much like cheddar cheese. 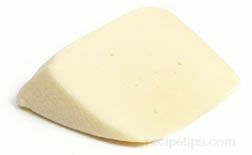 Similar to Provolone, Queso Asadero is a cheese used in many different recipes, especially roasted or baked Mexican dishes; in fact, it is excellent choice for baking or grilling because of its good melting properties. When served in Mexico, the cheese is often used for Queso Fundido, a Mexican fondue. Queso Asadero is also referred to as Oaxaca or Queso Oaxaca cheese, because it originated in the Oaxaca region of Mexico. It is commonly thought to be the same as cheese originating from the Chihuahua region. If Queso Asadero is unavailable, Fontina or Monterey Jack cheese make good substitutions. Queso Blanco is a soft, somewhat elastic-textured Mexican cheese made from skimmed cow's milk. The color of the cheese is basically white. (In English, Queso Blanco translates to "cheese white.") It has a very creamy flavor that may contain a hint of lemon, since lemon juice is used to coagulate the skim milk and whey when the cheese is produced. Varieties of this cheese are also made using milk with cream, which are coagulated with rennet. This creates a cheese with a creamier flavor. 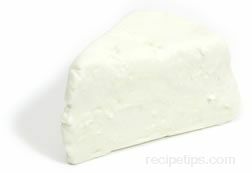 Queso Blanco is often used as a garnish; a topping for many Mexican dishes or salads; and as a stuffing for poultry, peppers, burritos, and enchiladas. Since it becomes soft and pliable when heated, Queso Blanco is a good choice for grilling or pan-frying. The cheese does not become runny when heated, because it doesn't melt completely. A variation of Queso Blanco is known as Queso Blanco con Frutas, which, in English, translates to "cheese white (or white cheese) with fruit." This variation has bits of fruit, such as pineapple and mango (Pina y Mango), added to the cheese to enhance the flavor. Queso Fresco is a fresh Mexican cheese made from cow's milk, sheep's milk, or goat's milk. It has a soft, crumbly texture. The color of the cheese is basically white, and the flavor is slightly salty, yet mild and smooth with a somewhat acidic aftertaste. The cheese is a good choice for grilling or baking, as it becomes soft and creamy when heated but does not melt. Queso Fresco, which means "fresh cheese (or cheese fresh)," is used as a garnish for a number of dishes. It is crumbled atop salads and used as an ingredient in tamales and tacos. It is also used as a filling for stuffed chicken breasts, peppers, enchiladas, and burritos. Queso Fresco de Oveja is a soft fresh Mexican cheese made from sheep's milk; in fact, the name translates to "fresh cheese of sheep" in English. This white cheese has a custard-like texture, a somewhat smoky flavor, and a subtle aroma. Queso fresco de oveja is used as a garnish for a number of Mexican dishes. It is often crumbled on top of salads, used as a stuffing for mushrooms, or served with bread and in sandwiches. It is also available as a flavored cheese with herbs and garlic being among the most popular seasonings that are used. Queso Jalapeno is a soft, somewhat elastic Mexican cheese made from cow's milk. The color is almost white and the flavor is creamy but spicy because of the bits of the jalapeno peppers blended into the cheese. When heated, Queso Jalapeno becomes soft and pliable but does not melt and become runny, which makes it a good choice for grilling or pan-frying. Queso Jalapeno can be served for snacking or as an ingredient in various Mexican dishes requiring a creamy cheese with a spicy flavor, such as burritos, enchiladas, or quesadillas. 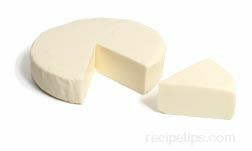 A mild flavored Mexican cheese, Queso Panela is white, very soft, and rather crumbly. When heated, it becomes soft and creamy but retains its shape and will not become runny. It is most often served cubed or crumbled in such dishes as salads, chili, and soups. It is quite common to add the cheese to specific Mexican dishes, such as burritos, tacos, and quesadillas. For sandwiches, Queso Panela can be sliced and layered with meats or other ingredients. When served as an appetizer, it is most often sliced and fried in a nonstick pan until it is golden brown. Queso Panela can be substituted with fresh mozzarella, dry cottage cheese, Monterey Jack, or dry ricotta, depending on how the cheese is used in a particular recipe. 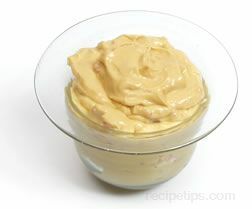 Queso Para Freir is a type of cheese that is specifically used for frying or baking. It is quite popular in a number of Caribbean and South American countries. When Queso Para Freir is fresh, the texture of the cheese can be crumbly or elastic and the color can be white or pale yellow. Cheeses that are made for frying, such as Queso Para Freir, have a smooth but somewhat salty flavor that goes quite well with grilled and baked foods. The cheese holds its shape when cooked or baked; it doesn't melt and become runny. Queso Frito is one of the popular fried cheese dishes in which Queso Para Freir is used. Many of the cheeses that are good choices for frying are labeled "Queso Para Freir" or "Queso de Freir." If Queso Para Freir is unavailable, Queso Blanco is a good substitute, but it doesn't have a similar salty taste. Queso Quesadilla is a cow's milk Mexican cheese with a soft, somewhat elastic texture. 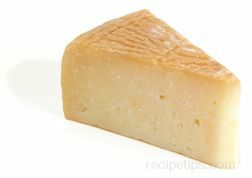 The cheese is very pale ivory to almost white, and the flavor is mild and very creamy. It is a good choice to use for grilling or pan-frying, as it becomes soft and pliable when heated but does not melt and become runny. Queso Quesadilla is often used as a snacking cheese; as a topping for melted cheese sandwiches; as an ingredient for a number of savory dishes; and of course, as an ingredient for quesadillas. 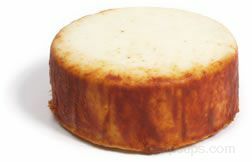 Queso de Papa is a cheese common in Caribbean countries. 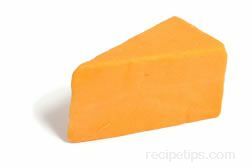 The color of the cheese is orange, the texture is firm and moist, and the flavor ranges from smooth and mild to somewhat sharp and tangy. It is very similar to Colby cheese of the United States. Queso de Papa is often used as an ingredient in numerous food dishes, or it is simply served as a snack or appetizer. Requeson is a fresh cheese that is popular in Mexico and Spain. The color of the cheese is basically white, and the texture is somewhat grainy, yet it is rather soft and spreadable. Requeson cheese has a mildly sweet flavor similar to fresh milk. It is most often served in salads, used as a dip or appetizer spread for crackers or hard breads, used as an ingredient in numerous baked dishes, or used as a stuffing for pasta and enchiladas. Requeson cheese is often compared to the Italian cheese, Ricotta, which can be used as a substitute if Requeson is not available.